Home Featured First Isuzus Make An Impressive Debut In The Cormac Fleet In Cornwall. 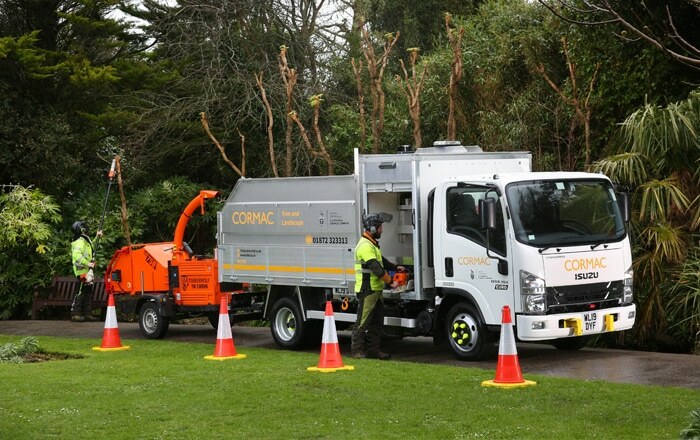 The first ever Isuzu trucks have recently gone into service for the landscape and tree services division of Cornish firm, Cormac. Two Isuzu 5.5tonne 4×2 rigids, fitted with twin rear wheels and bespoke aluminium tipping bodies, are now operating throughout Cornwall and are expected to have a seven-year working life at Cormac. Further information about the full range of Isuzu trucks can be viewed at www.isuzutruck.co.uk.